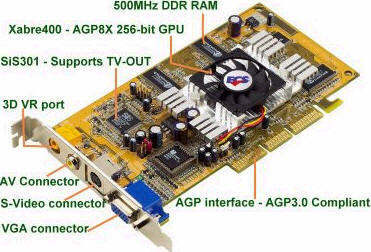 AGP8X supports a data rate of 2.1GB/s and runs at 533MHz, doubling the speed of the previous 266MHz AGP4X interface. Presently, rapid improvements of the data transmissions are being applied to the main memory, core logic and processor. This is to allow the system to handle more data. As other parts of the system have been upgrad4ed, widening the bandwidth of the graphics interface is becoming more and more essential.